Catalogue > Cities: maps and sights of cities and villages > 1. North Brabant and Limburg > WILLEMSTAD. 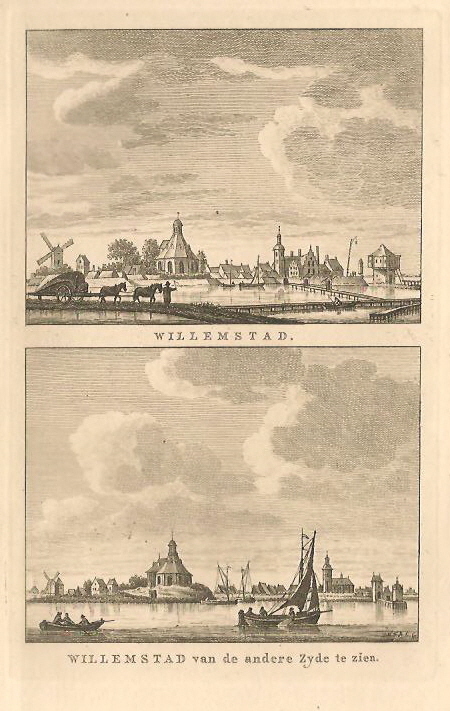 "WILLEMSTAD. / WILLEMSTAD van de andere Zyde te zien." Hoogte:16,2 cm. Breedte: 10 cm.